Custom warning messages on the shipping unavailability. After installing the Shipping Cost Calculator extension, you will provide your website visitors with a handy widget for calculating shipping costs right on the product page. 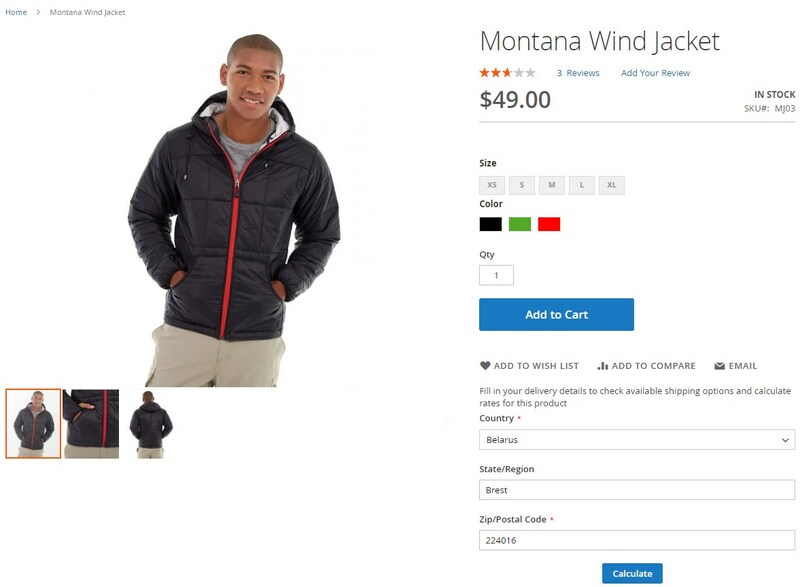 This way, you will enable shoppers to estimate the final price of a product before they check out. To check available shipping options and calculate shipping rates, users only need to enter their location details in the calculator form. 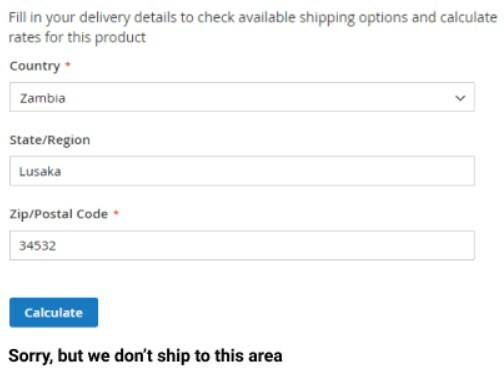 As for the shipping rates calculator display, you can choose its position on the product pages. 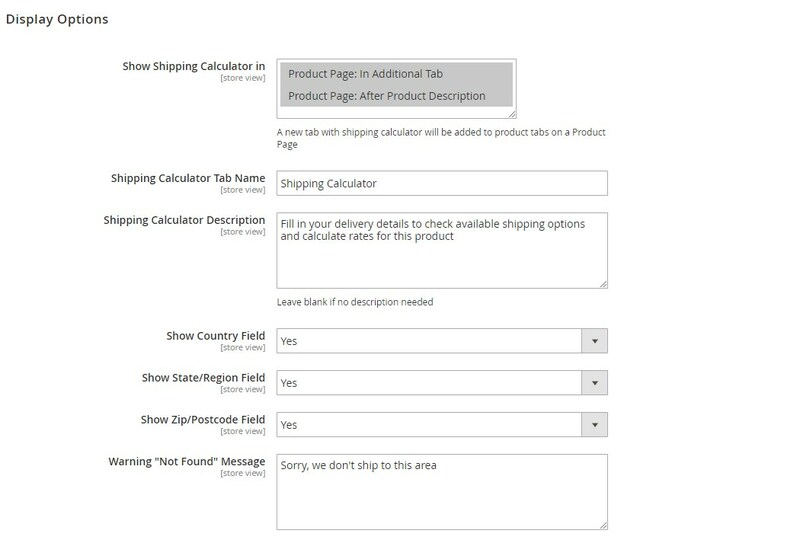 The Magento 2 module allows placing the calculator under the product description or in a separate tab added to the tabs block on the product page. It is possible to create a custom title for the tab with the shipping calculator, as well as add a description shown above the calculator. Besides, store admins decide which fields to include in the calculator. By default, there are three fields available: “Country”, “State/Region”, and “Zip/Postcode”. If you offer the same rates for all countries or locations, you can remove appropriate fields from your form in one click. It is also possible to specify values for all fields that will be selected by default on the frontend. This feature might be useful if you deliver your store products mostly to one country or region so that customers can save time on entering their details in the form. Furthermore, the Magento 2 shipping rates module allows users to disable the calculator display on particular product pages. To utilize this function, you will only need to specify the IDs of the products or categories for which items you want to deactivate the shipping cost calculator. It might also happen that a website visitor enters the details of a location to which you don’t ship. 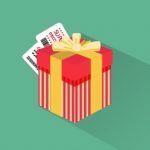 For these cases, the extension lets you create a custom message that will inform customers about the unavailability of delivery to their area. Thus, you will not confuse clients about shipment possibilities, which creates more trust to your store. You will find the extension’s settings under Stores -> Settings -> Configuration -> Amasty Extensions -> Shipping Calculator. The configuration page is divided into 4 sections: General, Display Options, Default Values, and Display Restrictions. In the General settings, you should enable the module if you want the shipping costs calculator to be available on your storefront. In Display Options, you decide in which area of a product page you want to place the shipping calculator: in the additional tab or after the product description. Next, you can create a title for the calculator tab and specify a text shown above the calculator. Here, you also choose which fields to include in the calculator form – enable/disable Country, State/Region, and Zip/Postcode fields. 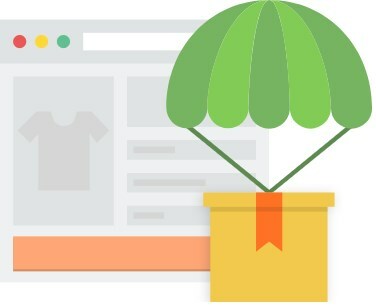 Besides, the tab allows specifying a text for the message displayed to storefront users when their location area is not included in your shipping destinations. In the next section, you can choose a country as well as specify state/region and ZIP/postal code that will be filled in the relevant fields by default. In Display Restrictions, you can specify particular product IDs and category IDs for which you want to disable the shipping calculator display on the storefront. Now, let’s see how the Amasty shipping rates calculator looks on the frontend. In both options, a customer should fill in the required fields in the calculator widget and press the “Calculate” button to check shipping availability and estimate the costs. Shipping Cost Calculator by Amasty is a very useful tool that extends the shipping rates calculation functionality on Magento 2 sites. 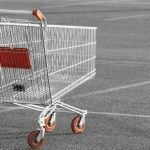 With the extension, you will allow your customers to know the exact cost of delivery to their region and avoid cart abandonment due to unexpected price at the checkout. 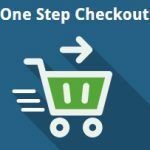 The module is easy-to-configure and provides Magento admins with necessary settings for adjusting the shipping calculator display on the web pages. Thus, you will improve the customer shopping experience and add incentives for making an order on your store. As a result, it leads to higher conversion rates and sales.